From its wonderful history and temples to impressive entrepreneurship and literature, Egypt is a country which thousands of travelers flock to every year. 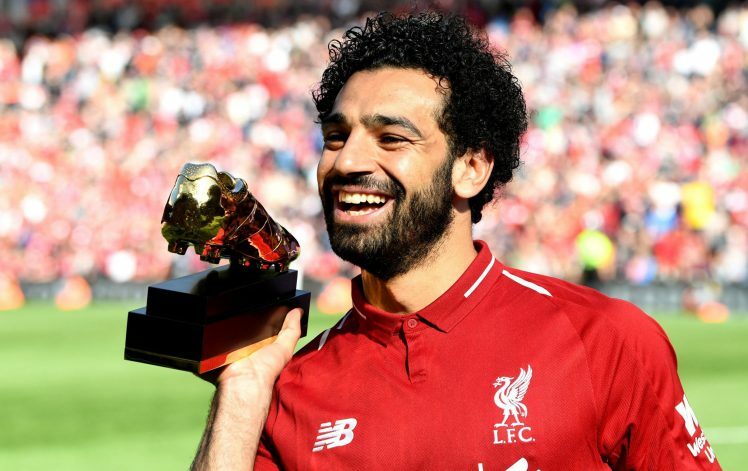 Having established itself as one of the oldest civilizations in the world (perhaps that deserves a world record of its own), it is thus expected that Egypt and its residents would have aimed for a couple of world records here and there. 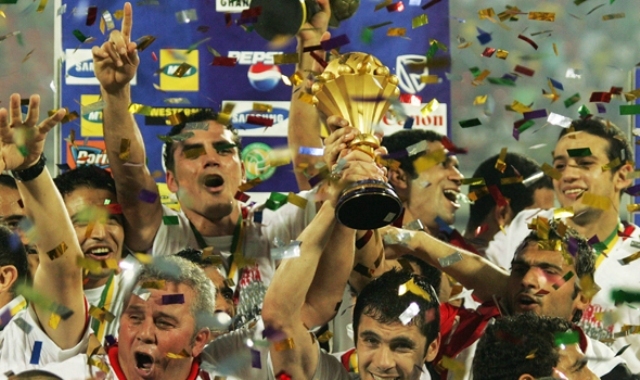 According to the Official Guinness Records, there are more than 90 entries for Egypt alone. Here are the funniest, most intriguing and thought-provoking. 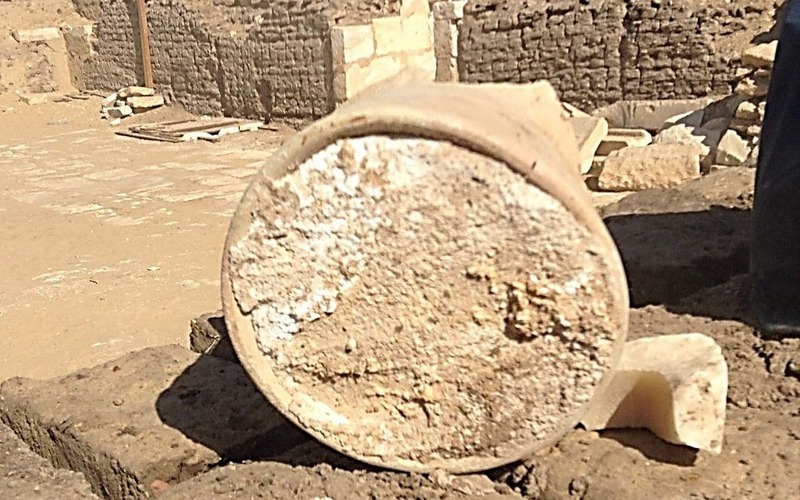 Headlines for the world’s oldest cheese traveled worldwide when a team of archaeologists discovered 3,200-year-old cheese preserved in jars inside the tomb of a high-ranking ancient Egyptian official called Ptahmes. It was mainly made from sheep and goat’s milk; it is, of course, inedible at this point. 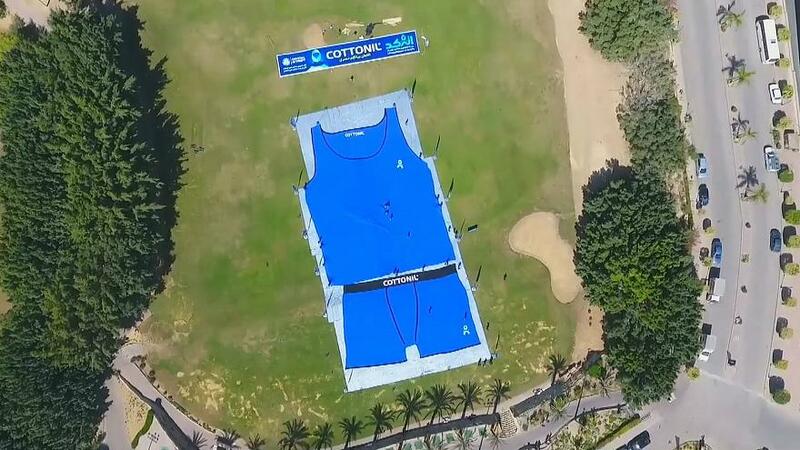 Although this may bring many smiles, an Egyptian brand called Cottonil broke a record for the largest underpants and undershirt ensemble in March this year. The underpants measures 25.36 m (83 ft 2 in) across the waist and 18.09 m (59 ft 4 in) from waistband to crotch. The event actually had for aim to raise awareness for prostate cancer and it offered free health checks for those attending. 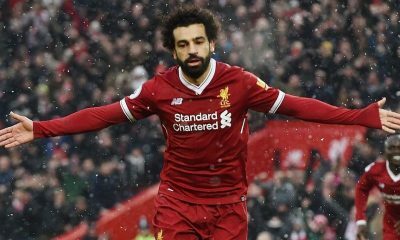 Egypt’s star player, Mohamed Salah playing for the Liverpool season 2017/2018, scored an impressive 32 goals in the 38-game season. 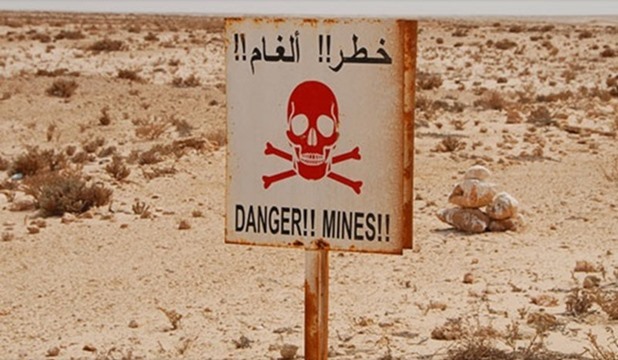 Surprisingly, Egypt’s land mines, which still exist from World War II and the Egypt-Israel wars, are countless. The World Guinness Record estimates that the country has around 23 million unexploded ones on its territory. 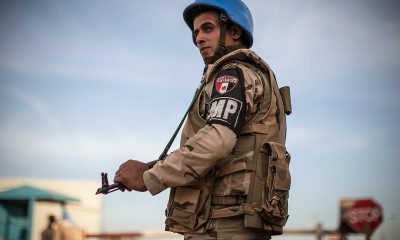 Recently, 10 million have been cleared from Sinai and the western deserts, but these weapons of wars have given Egypt’s ‘Devil’s garden’ reputation when referring to its minefields. One of ancient Egypt’s lesser known aspects is how much the ancient Egyptians used to fondly take care of domestic animals. Thousands of cat and dog mummies have been retrived from tombs over the last decades; moreover, the depiction of these furries are included in every day scenes of tomb owners. It hardly comes as a surprise that one of the world’s oldest breed of domesticated dogs is the saluki, which is believed to have emerged in 329 BC, is attributed to being Egyptian. 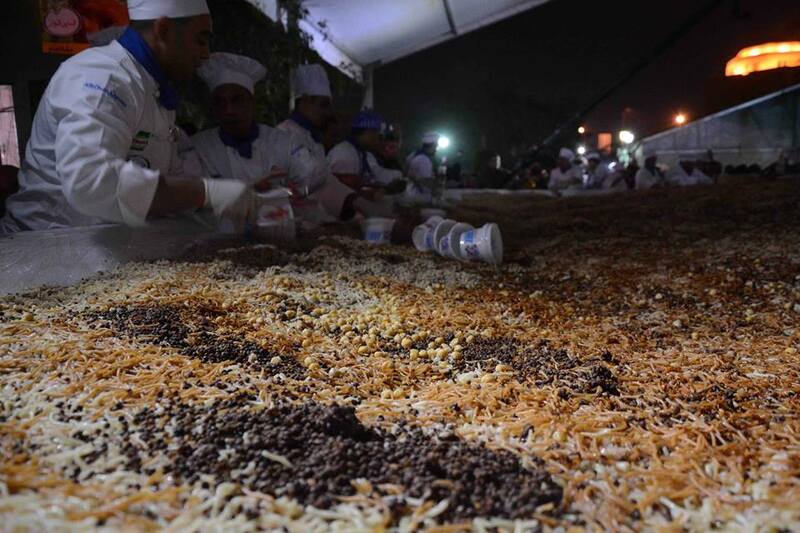 Egypt broke the Guinness World Record for the largest dish of Koshary ever! The largest dish of koshary was prepared during a festival by local company Engezni in January 2015. 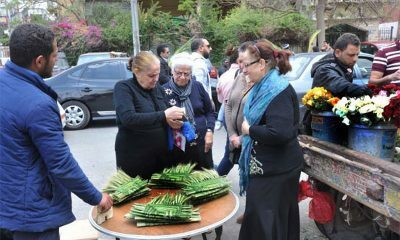 According to local outlets, the national dish weighed over 8,000 kg and was enough to feed countless of people. The dish was served by various chefs in a circular dish that was 10 meters wide and 1.20 meters high. 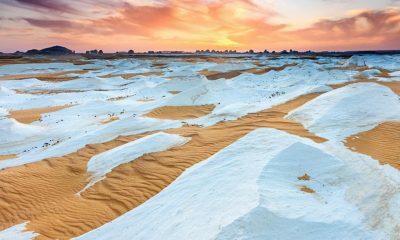 Fayoum is an area that locals and foreigners like to go to alike, but only for the crafts produced at Tunis village, but also to visit the natural protectorate, Wadi Al Hittan. 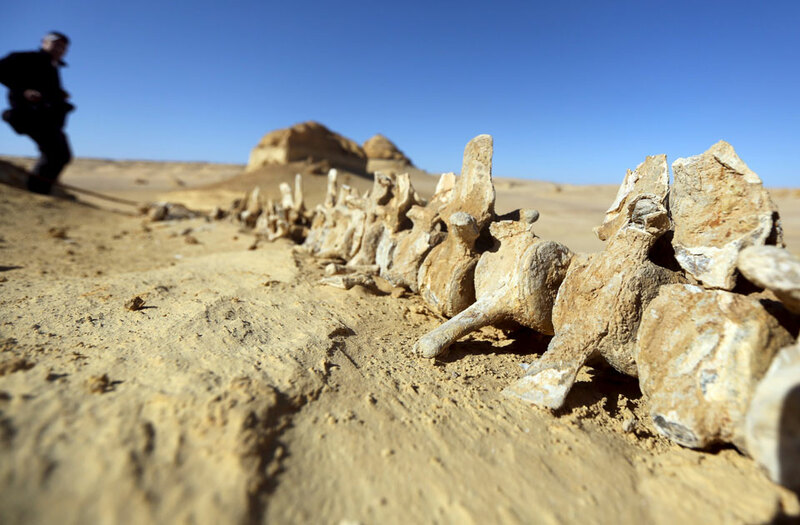 There, fossils of whales are displayed at an open-air museum; they date to the Eocene period, about 56 to 34 million years ago when Egypt was covered by a sea body. These fossils are particularly important as they reveal the evolutionary stage of the whales from land-based to sea-based creatures, progressively losing their hind limbs. 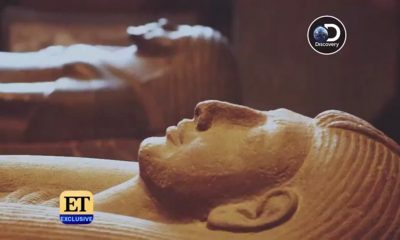 Contrary to popular belief, the ancient Egyptians were as concerned with politics and international alliances as current Egyptians. In the New Kingdom, Ramses II signed a peace treaty with King of Hittities, Hattusilis III. The’Eternal Treaty’ was bilingual: one in the franca-lingua of the time, Akkadian (Mesopotamian language) and one in hieroglyphs (Egyptian). 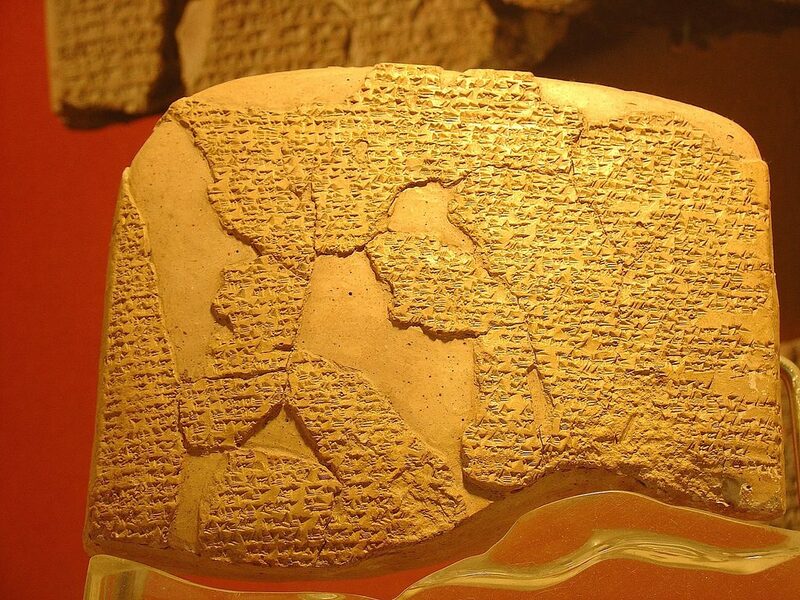 The treaties records the Battle of Kadesh, and it also records the agreement between both parties to end the spat between Egypt and Hatti (modern day Turkey). 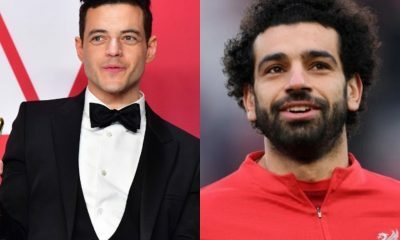 It also marked their agreement to come to each other’s aide in the case of a foreign or domestic aggression. It was respected until the collapse of the Hittite Empire, some 40 years later. A copy remains today in the Karnak Temple, in Egypt’s Luxor. Once again, a dairy-inspired record. 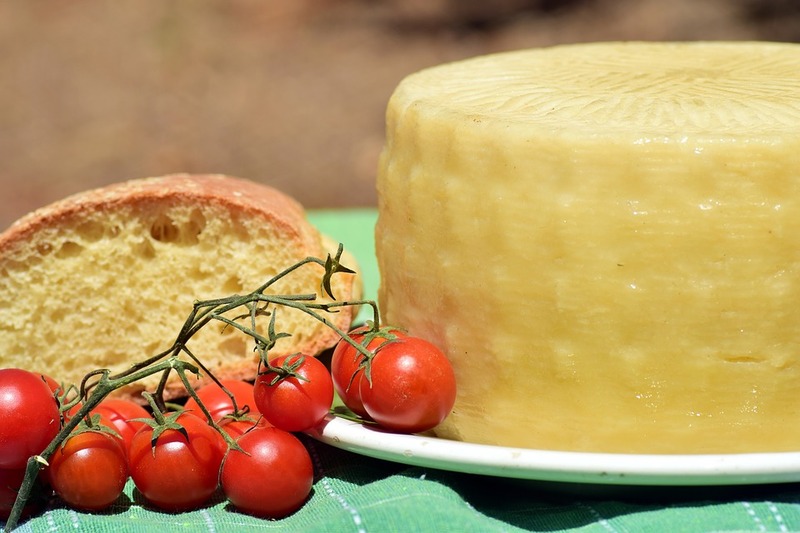 A local Egyptian company called Halayeb Katilo produced the largest cheese slice which was displayed on 13th of July 2012, although it had been made in 2011 to mature until the display. 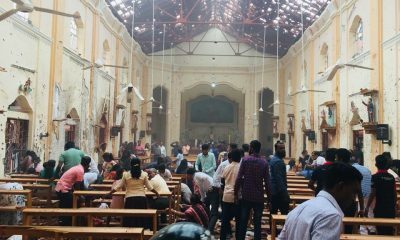 It measured 1.14 m and weighed 135.5 kg. 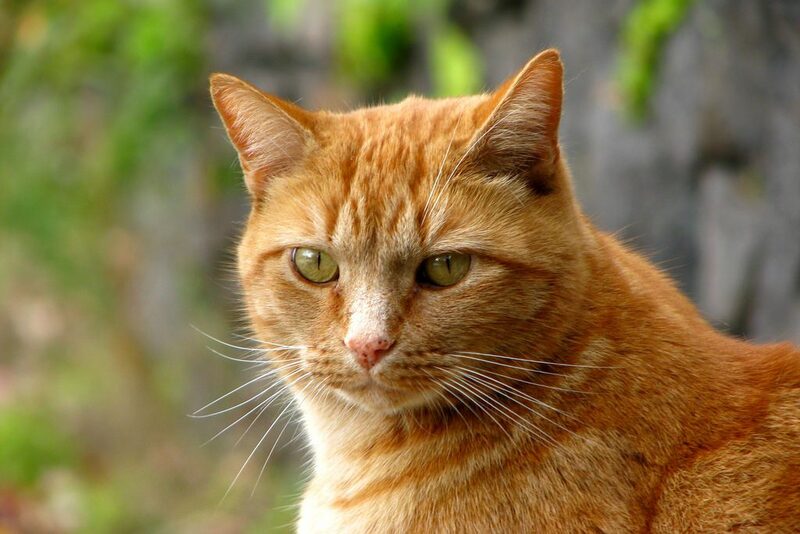 Smarty was a ginger cat. Possibly one of the strangest records that falls under the Egypt category, a domestic cat called Smarty took the record for most air flights by a pet. Her 79th flight in 2005 broke the record for the ginger female furry; the latter was owned by Peter and Carole Godfrey (UK). Sadly, Smarty the cat passed away in 2007, after her 92 flight. 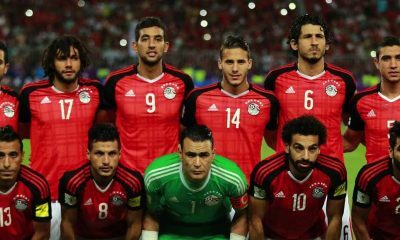 Egypt is well known for its pyramids. While many only think that the Giza pyramids are worth a visit, in reality, one of the most impressive structures in the world is still the Step Pyramid or the Dsjoer pyramid at Saqqara as it is considered the world’s first cut-stone pyramid. Scholars estimate that this pyramid was the natural evolution of the Egyptians burial (which used to be mastabas) tombs. 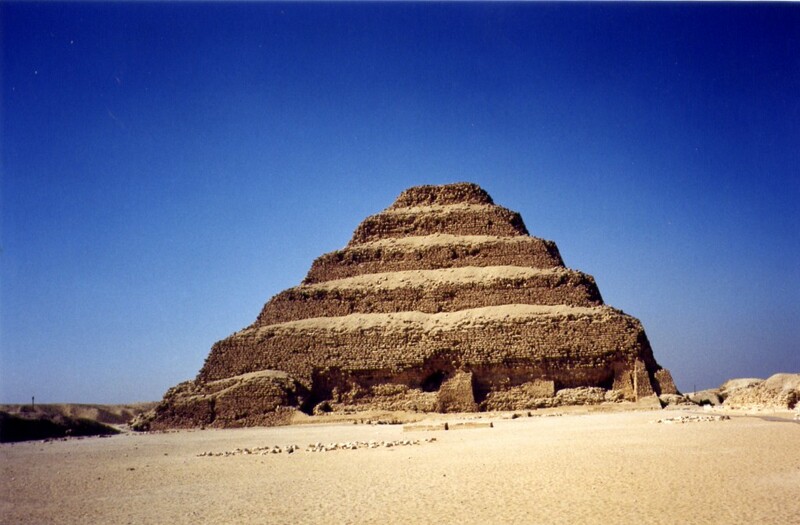 This pyramid was constructed in 2750 BC to contain the mummified body of the old Kingdom king, Djoser. 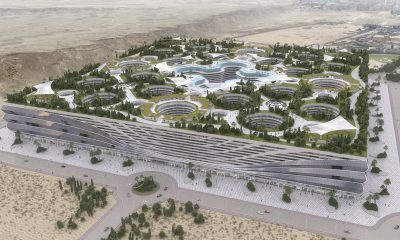 It rises to 62 m and covers a base of over 1,200 m2. At its time, it would have been surrounded by courtyards, and. 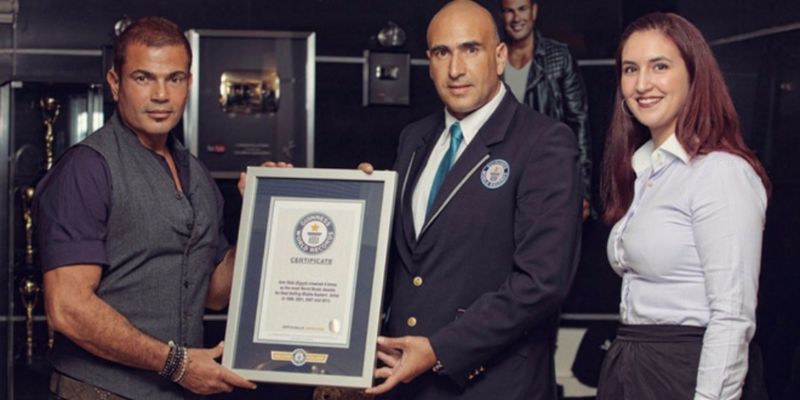 Egyptian singer Amr Diab has achieved a Guinness World Record for breaking the record number of World Music Awards won by a bestselling Middle Eastern Artist. He was crowned 4 times as the most World Music Awards for Best Selling Middle Eastern Artist in 1996, 2001, 2007 and 2013. 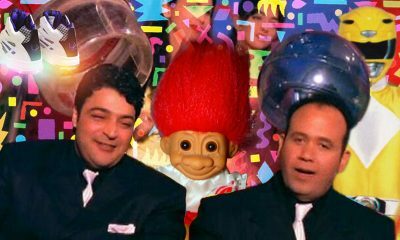 In the World Music Awards 2014, Diab was awarded Best Egyptian Artist, Best Male Arab Artist and World’s Best Arab Male Artist Voted Online. Today, he remains an active singer with a tremendous following. 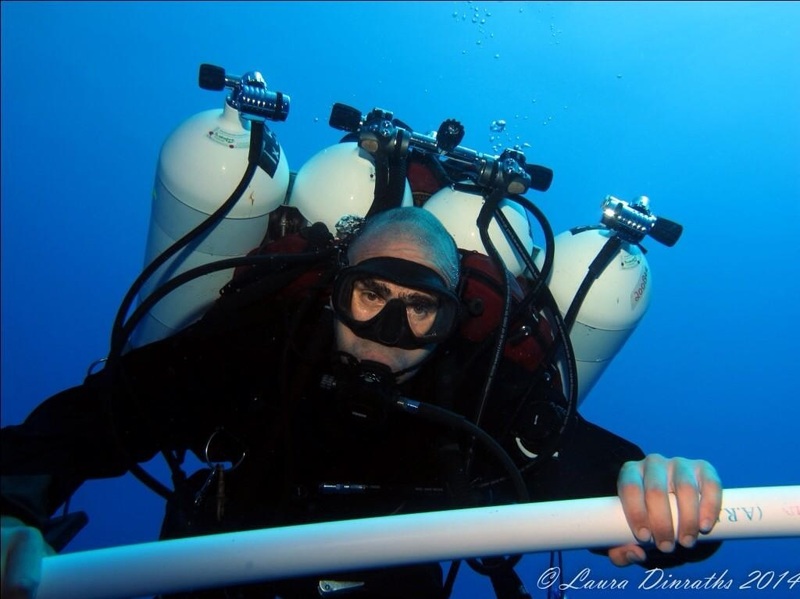 In 2015, local champion Ahmed Gabr led 644 divers in the biggest underwater clean-up which took place in the Red Sea right off Hurghada in celebration of the World Environment Day. 14. The Very First Zoo? 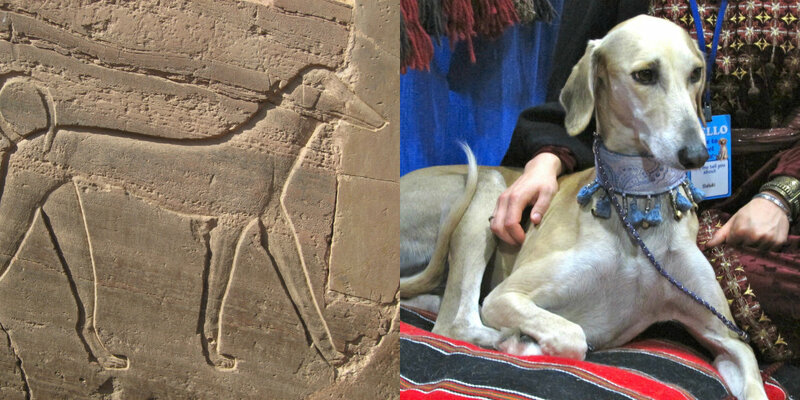 Ancient Egyptians were known to take special attention of their pets and their cattle. 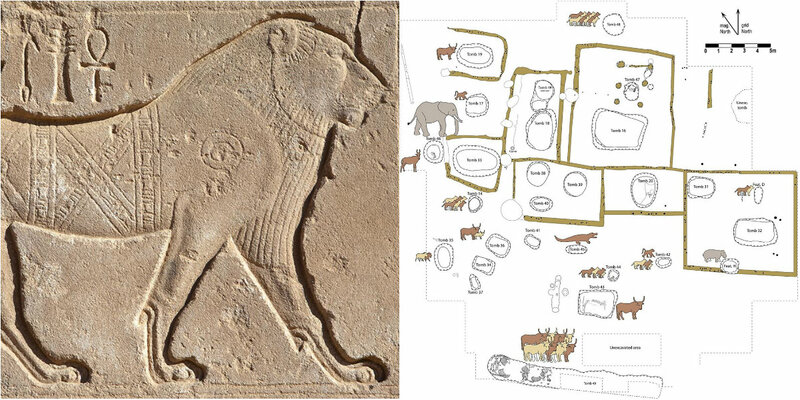 As such, archaeologists were surprised to discover a vast menagerie of animals in Egypt’s Luxor. The discovery was made in 2009 and it included over 100 animals of various kings: antelopes, wildcats, elephants, baboons and hippos dating back to 3500 BC. Archaeologists , who were excavating the ancient site of Hierakonpolis, assume that the zoo was owned privately. Whether it can be defined as a zoo or a private collection of animals is not easy to distinguish. One thing was clear however: the animals were buried with extreme car and attention. 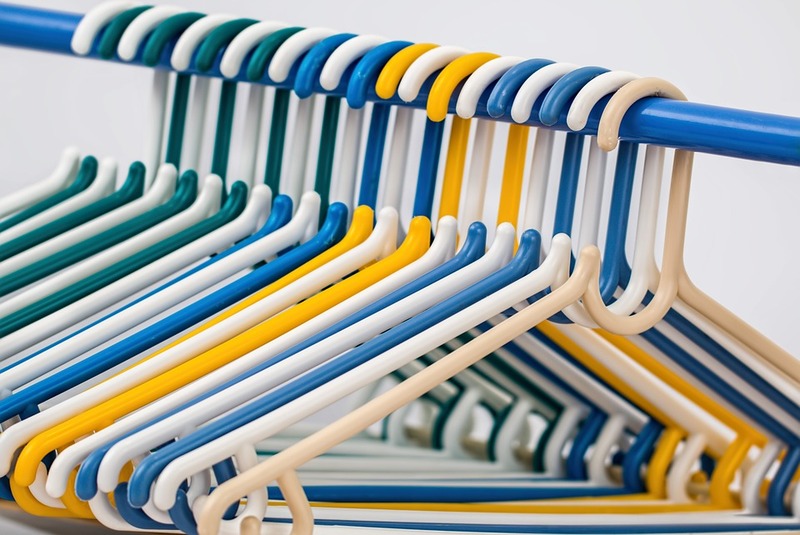 Another record that would fall under the random category would be the record for fastest time breaking 10 plastic coat hangers. It was 4.60 seconds and was achieved by Ahmed Mohammed Soliman Ibrahim (Egypt), in Cairo, Egypt, on 2 October 2013. Ahmed Gabr during a training run before the big event. 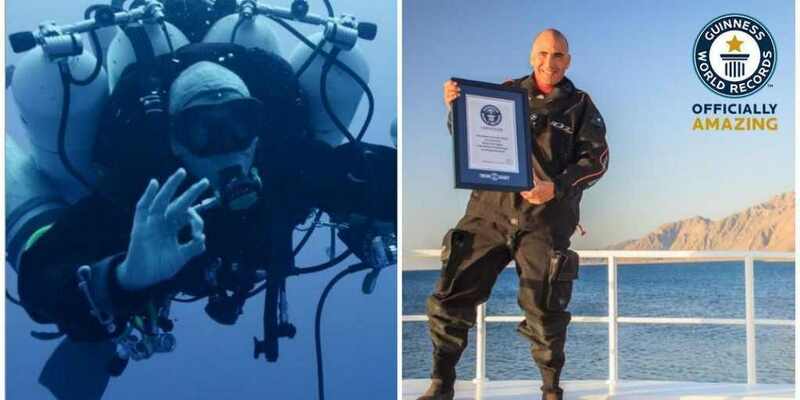 According to the Guinness World Records, Egyptian diver Ahmed Gabr has broken the world record for the deepest salt water scuba dive at 332.35 meters. Food Alimentarium of Vevey displays this incredibly ancient cake. Egypt is extremely lucky to have so much of its ancient cultures preserved. One of the most endearing items lately to resurface was an Egyptian cake which dates back to the reign of king Pepi II (2251-2157 BCE). The cake was made out of two wheat flat-breads that with were filled with honey and milk and which were cooked inside two copper moulds. It is, naturally, inedible today, and it is exhibited at the Alimentarium in Switzerland. 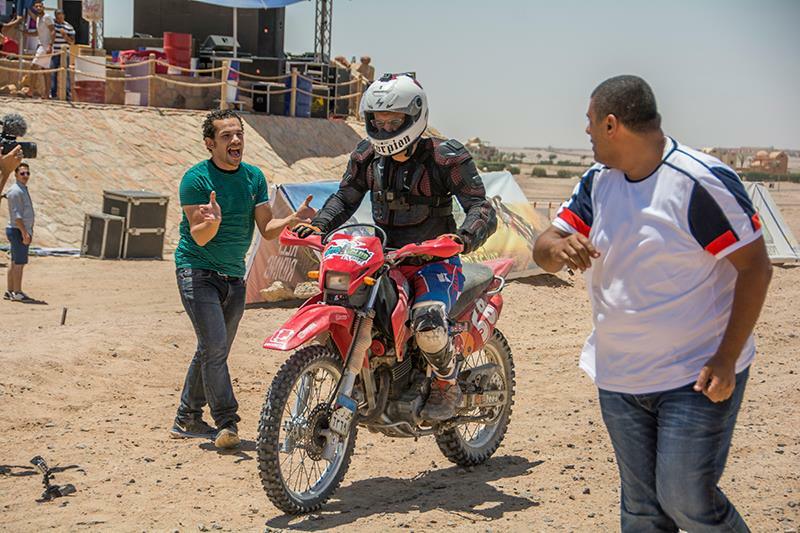 Egyptian motorcyclist Ali Abdo achieved a new world record for the longest distance crossed on a motocross bike in one day and broke Guinness World Record. 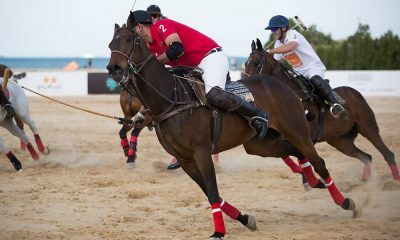 Abdo crossed 613.59 km (381.27 miles), the longest distance on a motocross bike, in 24 hours in Egypt’s coastal city of Gouna. 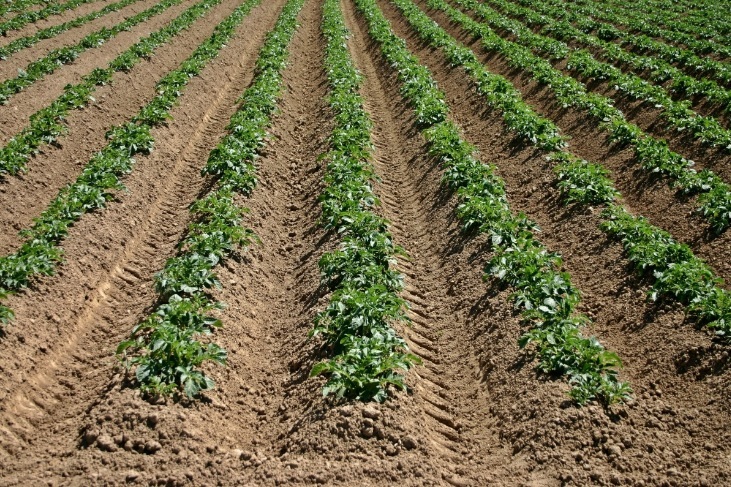 The longest line of seeds is 546,414 m (1792.69 ft) and was achieved by Manal Mohammed Hamed, Abd El Naser Mograby Mahmoud and Mohammed Farouk Mohammed (All Egypt), in Cairo, Egypt, on 21 March 2017. 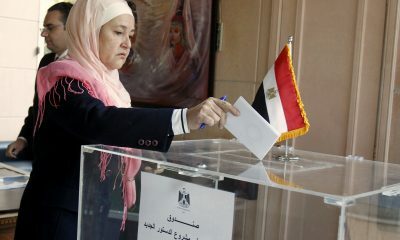 The attempt was held by the Ministry of Education in Egypt. 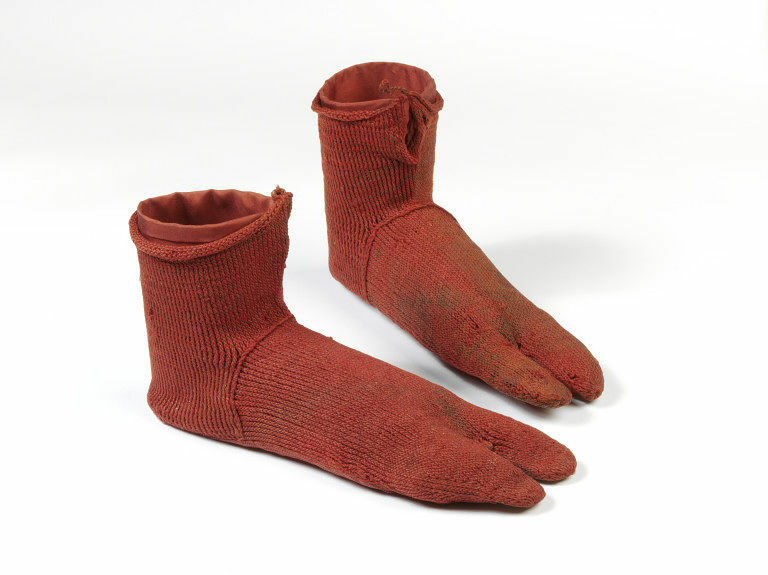 Although these divided-toe socks were found at the end of 19th century; they are estimated to date around 4th to 5th century. They were excavated in Egypt about today they are displayed at the Victoria and Albert Museum in the UK. They were designed to be worn with sandals. 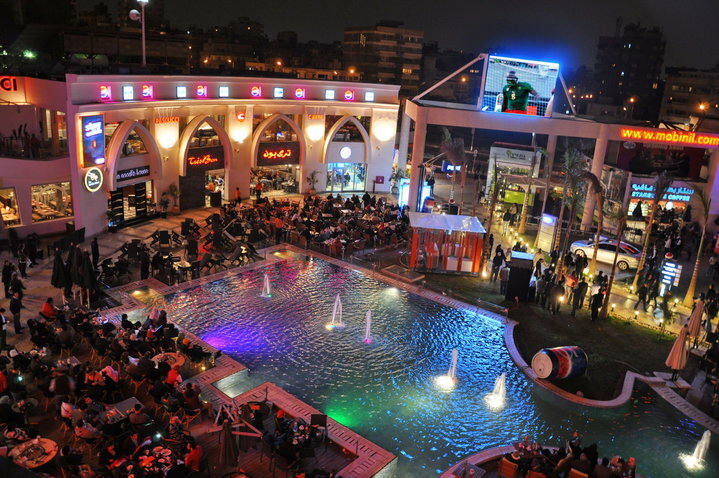 The Tivoli dome record, which was also in Cairo, was beaten by a subsequent food court. Oasis restaurants and entertainment has total floor area of 41,000 m² (441,318 ft² 80 in²), it holds 25 restaurants and cafes with a total seating capacity of 4,223 and has a car park which can hold up t0 1,000 vehicles. The largest food court was inaugurated on 4 August 2011. One of the most valuable cat breeds in the world is incidentally the fastest breed of domestic cats in the world. The Egyptian Mau has powerful leg strength which helps it jump to high-up places without much of a challenge. Moreover, this slender cat can run up to 30 miles per hour. 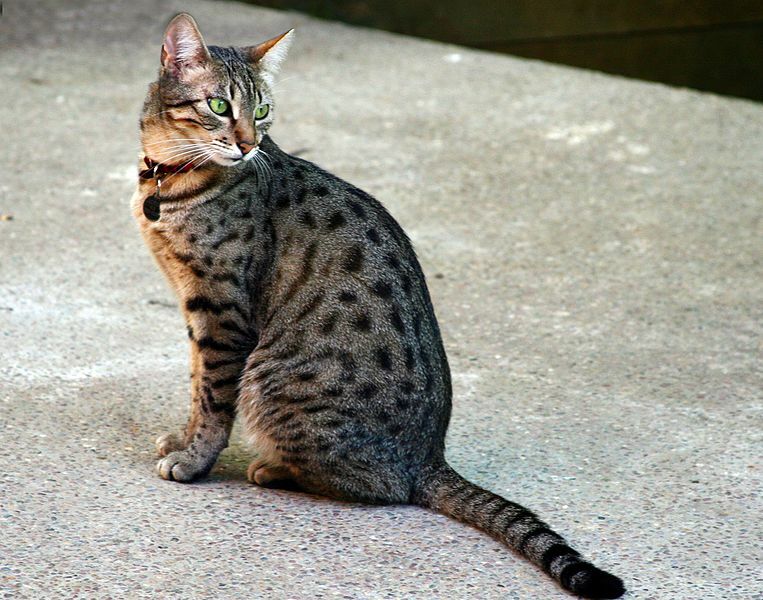 An Egyptian Mau costs on average between $US 800 to 1800. In order of speed, the nine fastest breeds of cat worldwide are the Egyptian Mau, Abyssinian, Somali (long haired Aby), Bengal, Savannah, Manx, Siamese, Ocicat and Oriental.